Spanish-language music for the Lenten and Easter seasons, from Ash Wednesday through Pentecost. 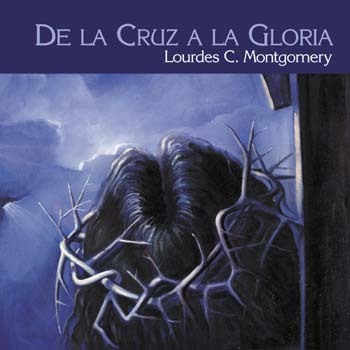 This 14-song MP3 album by Lourdes Montgomery features Spanish-language music for the Lenten and Easter seasons, from Ash Wednesday through Pentecost. The CD includes a bonus track, "Bienaventurados," which does nto appear in the songbook. However, it is available in sheet music/octavo format. With this debut album, Lourdes Montgomery has created a kind of musical guide that leads the assembly from the passion and death of our Lord through his resurrection and ascension to the descent of the Holy Spirit at Pentecost. Beautifully arranged and accessible, each song builds upon the previous in a beautiful musical version of the greatest story ever told. De la Cruz a la Gloria (From the cross to glory) includes responsorial psalms, Communion songs, songs for Ash Wednesday and the Palm Sunday procession, music for Good Friday and music for the Easter and Pentecost Sequences. Arranged for choir, keyboard, guitar, strings, flute, oboe and other instruments, the songs are traditional and reverent in style. A refreshing addition to the Spanish-language repertoire for Lent and Easter, De la Cruz a la Gloria provides wonderful music for the liturgies from Ash Wednesday through Pentecost.